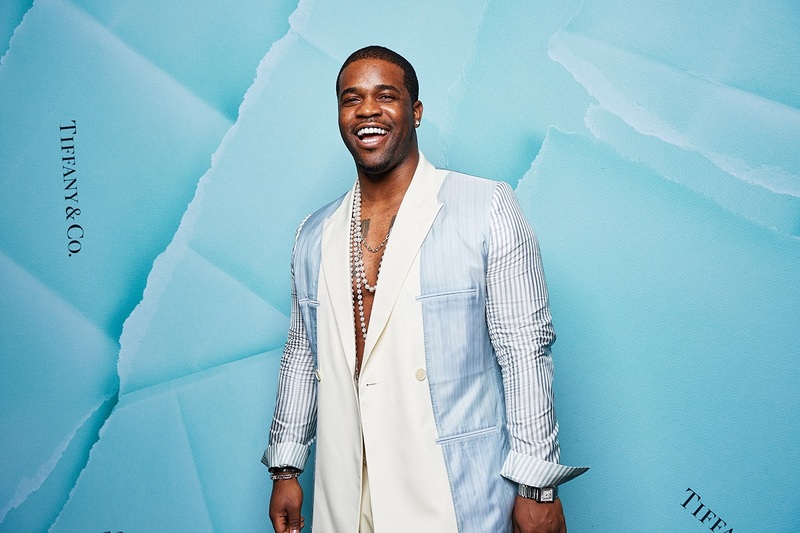 Tiffany & Co. celebrated the opening of its brand-new flagship Sydney store with a lavish launch attended by international celebrities including model Kendall Jenner and rapper A$AP Ferg. The jewellery house made some major changes to the building, which sits on the corner of King Street and Pitt Street, to add drama to the new two-level store – removing a large section of the existing roof to install an atrium and soaring 10-metre ceilings, and adding a backlit façade. 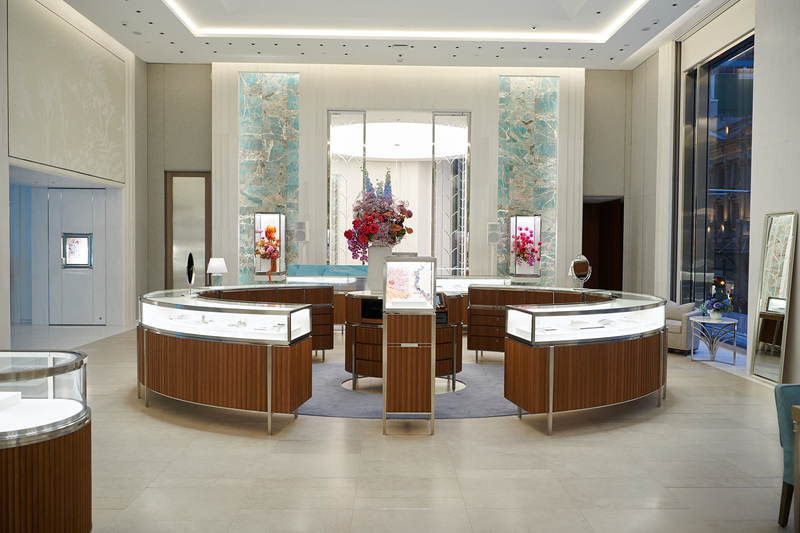 Inside, amazonite stone wall panels add Tiffany turquoise in natural textures against white marble, while the natural light provided by floor-to-ceiling windows ensures its diamonds are viewed in the best conditions. While the store’s modern Deco styling is reminiscent of the brand’s New York City heritage, the work of Australian artists such as Lisa Cahill, Anna Wili Highfield, Gemma O’Brien and Charlotte Phillipus also features prominently, in pieces created exclusively for Tiffany & Co.
To afford customers greater privacy as they browse, the store has a number of elegant private ‘salons’, as well as stylists available to work with clients on matching jewellery to their looks. 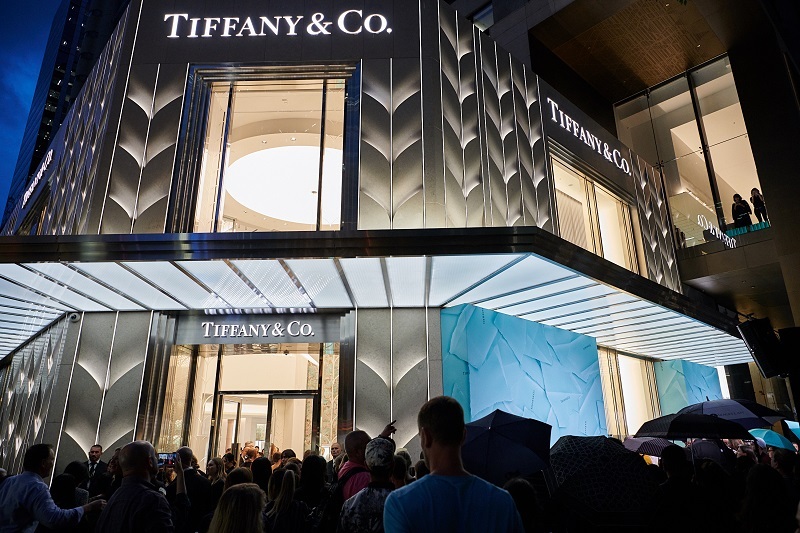 For those fascinated by high jewellery, in an Australian first for the brand, a large permanent collection of Tiffany’s most finely crafted pieces will be on display in the store. 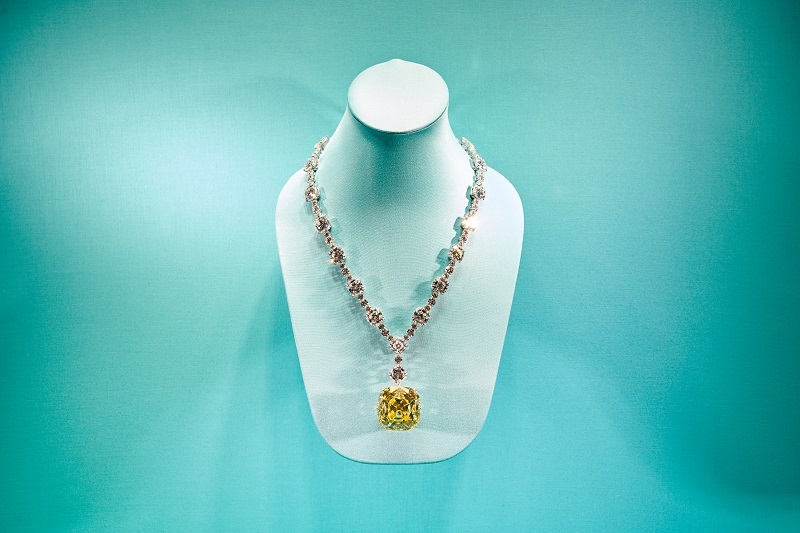 Making a surprise appearance in the gallery for the launch was the Tiffany Diamond, one of the largest and finest fancy yellow diamonds in the world. The 128.54 carat diamond, cut into a cushion-shape brilliant cut with 82 facets – 24 more than a traditional brilliant cut – most recently graced the throat of Lady Gaga at the Academy Awards in February, and was worn by Audrey Hepburn in publicity photos for Breakfast at Tiffany’s in 1961.